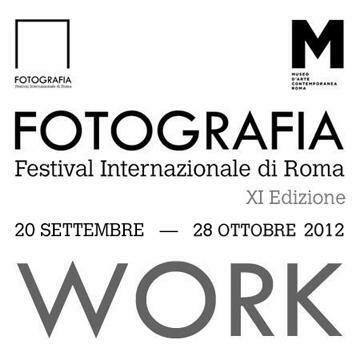 I will be exhibiting Let This Be A Sign in the XI Edition: WORK of the International Festival of Rome. The festival is curated by Marco Delogu with Alessandro Dandini de Sylva. My work will be in the exhibition – Camera Work, alongside that of Roger Ballen, Yto Barrada, Claire Chevrier, Raphaël Dallaporta, Joseph Koudelka, Chris Killip, Fosco Maraini, Nina Poppe, Lars Tunbjörk and Florian van Roekel. Visit their Facebook page here and festival blog here for more details. The theme of the 11th edition will be “work”, a keyword in the history of photography and recent years, reinterpreted with great attention to the differences and changes in the languages of photography and contemporary work. The Festival, in its new MACRO version, has thus chosen a classic theme of 20th-century documentary photography and revives it, with a return to the central role of man, taking up a challenge that involves new languages and new narratives in photography. What remains of “20th-century” work? Its “vision”, which was often also mythological, full of physical exertion and large masses, has changed and in many cases endures alongside more sophisticated, often solitary, technological kinds of work that are frequently difficult to transform into visions. How do these old visions marry the new ones? What unites them? Perhaps some of the answers to these questions contain a global vision of the world and a vision of photography that we consider the most effective tool for the analysis of contemporary society and its languages.